What is your booking retainer? Our booking retainer is $1000. This assures you that we will be present on your wedding date. The remaining balance must be paid 30 days prior to the wedding date. How many videographers do we need? For weddings of 50-200 people we recommend 2 videographers and 1 assistant and for larger weddings we would recommend a 4th videographer- this is to ensure that every single aspect of the wedding day is captured. 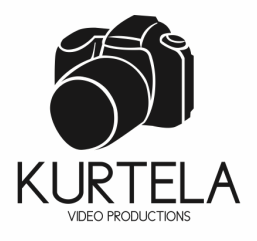 There is no way to achieve the quality that you see in our videos with only 1 videographer. Your wedding will be edited into a 3-5 minute Trailer, and your Feature will be anywhere from 8 to 10 minutes long. If you have questions as to how this will look, please request a sample link. In order to maintain style with all of my wedding videos, I personally edit all of them myself. In booking with us you acknowledge you have seen our past work, our look, style & feel. Can we buy the raw footage? Raw footage is available for transfer onto a hard drive for an additional fee of $500. I keep raw footage on file for six months after you have received your wedding video. After that time period, I cannot guarantee that I will have your wedding footage, aside from your Vimeo/Youtube links. How do we select our music for the video(s)? As a professional studio we must purchase and license any music that goes into our public videos. If you would like your video to be public and shareable- this is non-negotiable. ​For feature videos- any music can be used as long as the video is not posted online. If you wish to have your Trailer video made private there is a flat fee of $500- our version of an NDA. ​How long does it take to finish our video(s)? You will have your finished video(s) within an estimated 6 months of making your song selection, often sooner. I cannot fully start the editing process until you have selected your music.